It's almost Christmas; are you so excited? We have family coming to visit in just a few more days, so we're really excited about that. And the Christmas lights, choir programs, cookie making—it's a great time of year. And we're almost done with the "Sew a Song of Christmas" series. 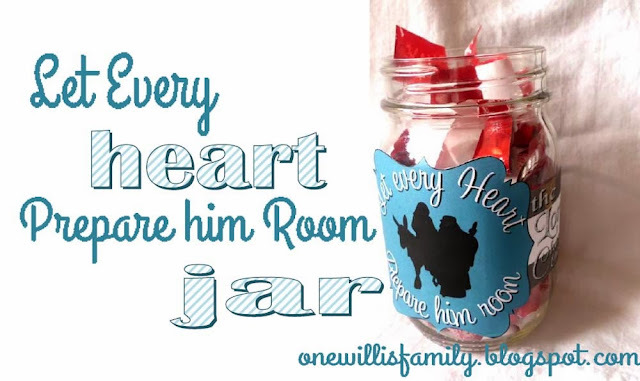 Today's project is by Megan, who blogs over at One Willis Family. She designs a lot of printables, some free, some for sale at her Etsy shop. She also has tons of free digital scrapbooking paper packs—I love this black and white pack! I'm very happy to have Megan sharing with us today. How can one possibly capture the majesty of this song or really understand quite how joyful it is that our Lord has come. Each Christmas my family and I try to really celebrate the meaning of the season. We try to remember our savior’s birth, and life, and mission here on the earth. Although this can be difficult at times with the excitement over the presents there are little things we do each year to remind ourselves of Christ’s life. We read Christmas stories and I usually cry…of course, we read the nativity story in the scriptures; we give gifts, and the like. This year we have really been brainstorming how to gain more insight into the meaning and importance of our savior. Here is just one little thing we’ve done. This is super easy to make. Just print out the jar wrap, cut around the edges, and tape it on. Then you’ll want to make the paper curls. This is pretty easy too. 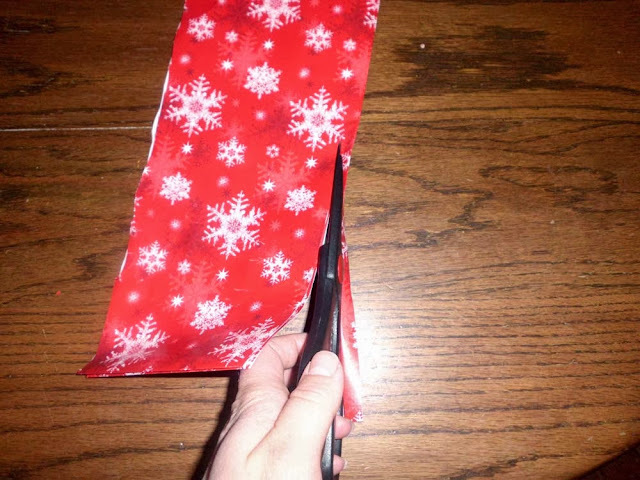 You all know how to curl ribbon when wrapping a present so you’ll just that with the paper. First take a strip of wrapping paper and fold hamburger style…then fold once more hotdog style. Then you’ll cut the edge off. Write down all the blessing you have received in the last month. Think of ways you can bless the lives of others. Start a spiritual journal where you write down impressions and promptings or your goals to come closer to the savoir. Keep writing in it. Any other ideas or things you think would be beneficial to you and your family. In this option you won’t write on the curls until after you do something that brings you closer to the savior. You can watch yourself or if you are doing this as a family and you notice someone else doing something good and kind. When you see someone o yourself do something that opens their heart you write it down and put it in the jar. Then at a determined time such as Christmas eve or Christmas afternoon you pull out the jar and read everything. 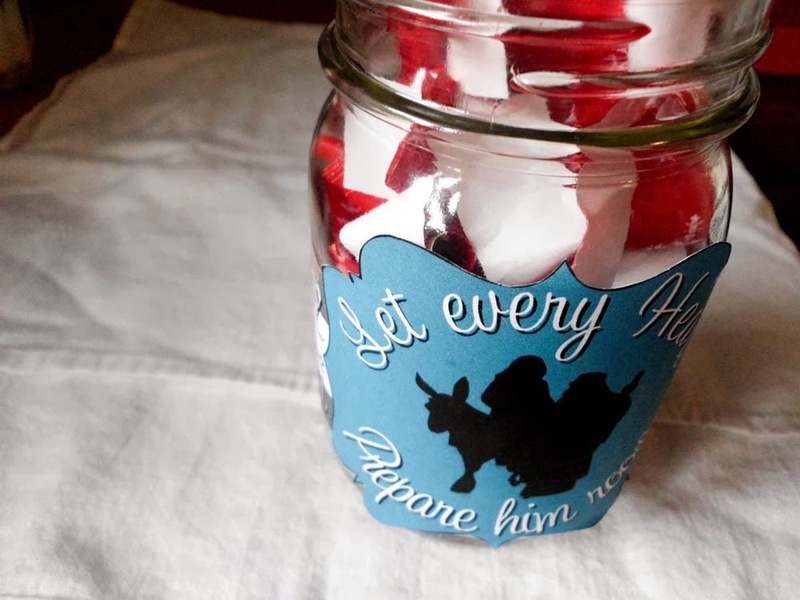 It’s fun to watch the jar fill up and it helps us keep our focus on Jesus Christ. Thanks, Megan! That's a great idea; I think we'll be adding that to our family Christmas traditions. THANK YOU!! I just found my Christmas lesson for Young Women's!